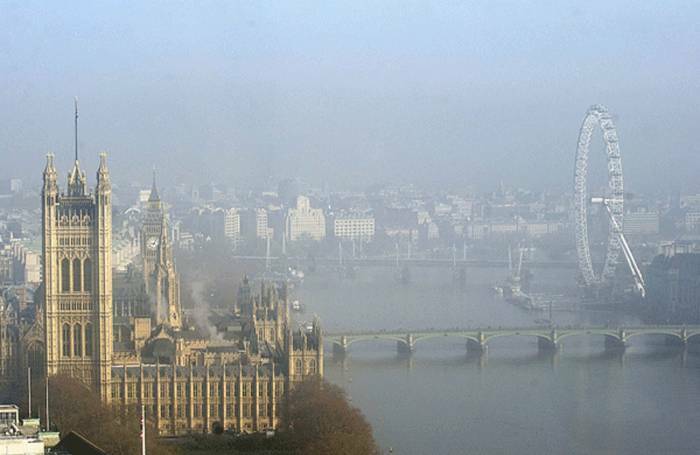 If you’ve ever fancied spending a year living in London, be warned: the city’s air pollution is so bad that you might as well smoke 251 cigarettes, says a new study. 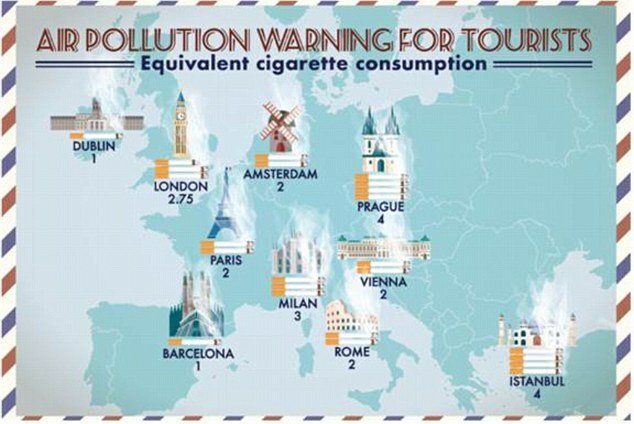 While city breaks are supposed to be refreshing, spending a long weekend in Europe’s 10 most popular but polluted cities could have the same health impacts as smoking between one and four cigarettes over just several days, according to the European Transport and Environment Association. After crunching the numbers, researchers drew parallels between air pollution and smoking cigarettes – based on the level of fine particulates – and found that enjoying a few days in Prague or Istanbul was the equivalent of smoking four cigarettes. Long weekends spent in Barcelona and Dublin, meanwhile, were the equivalent of smoking one cigarette. Having several days in Milan would have the same effect on visitors’ health as puffing on three cigarettes, compared to 2.75 in London, and two cigarettes in Vienna and Rome. 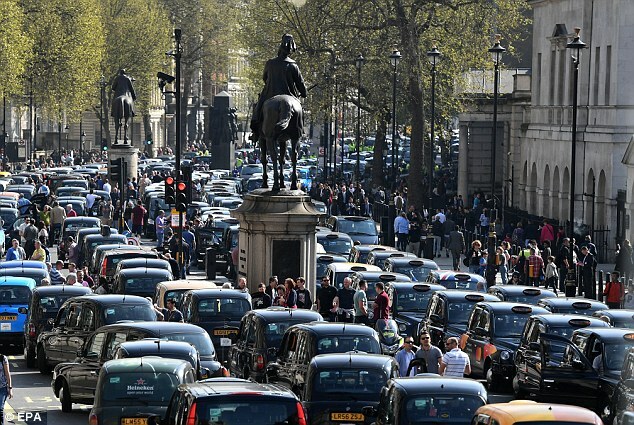 And in the space of one year in London, if a long weekend is counted as four days, visitors would have taken in harmful particulates which are the equivalent of smoking 251 cigarettes, under these figures. The Association said it was important that holidaymakers were given a ‘heads-up on the risk they face this summer [and that] tourism bosses should take note. 'Air pollution is the second highest environmental concern for Europeans and research suggests tourists are shunning Hong Kong due to its bad air. The organisation's air quality and diesel coordinator, Jens Miller, said: ‘When air pollution is bad, we are told to avoid eating or exercising outside. But walking around cities and eating on restaurant terraces is what city breaks are all about. Even small amounts of air pollution can damage our hearts, yet pollution may be much worse than officially recognised, the association said in a press release. It explained: ‘This is because authorities frequently rig monitoring stations to hide bad results, placing them in parks, calm streets or switching them off altogether. ‘The European Commission is taking the Romanian and Belgian governments to court for such behaviour. ‘Citizen groups have launched monitoring projects in response. These have revealed air quality far worse than official data in Italy, Germany, Bulgaria and Belgium. Cars are the main source of particulate matter in cities during summer months. Carmakers consistently break fuel efficiency laws by releasing vehicles more polluting than they should be, the association said.